Scroll down for LBS admissions tips, info, and news. 2013 London Business School Masters in Management Adcom Interview Available! Here is a helpful infographic from London Business School on things to consider when applying for an MBA. Find out more about London Business School’s MBA Programme. 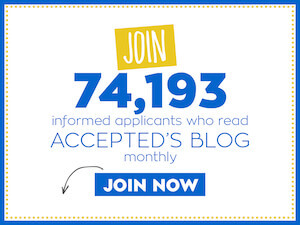 Accepted.com ~ Helping You Write Your Best Last updated on January 29, 2013. London Business School Masters in Management Q&A Next Week! What should you do if you have to answer a question with no question? No guidelines? No direction?It’s wide open. You have wildcard. A joker. Watch this video to learn how best to play that colorful card. Have more questions about writing great MBA essays? Review MBA Essay 101! Last updated on August 20, 2014. Living in a Global World: London Business School MBA Admissions Q&A Tomorrow!